Rhodes Scholar with an Oxford Blue in boxing and one of the better performers in the House, Shadow Minister for Families and Indigenous Affairs, Tony Abbot makes a welcome return to the program. Joining him, the member for Bennelong, former ABC journalist, Maxine McKew, academic, young Muslim community leader and host of SBS’s Salam Café, Waleed Aly, former advisor to the Howard Government and author of Liberal Women – Federation to 1949, Margaret Fitzherbert and former editor of conservative magazine “Quadrant” and now left leaning academic and author, Robert Manne. Expect plenty of jousting and robust conversation – all seasoned with a big dose of civility. On the current meltdown on Wall Street and beyond what emerged for me was that we have indeed, whatever the outcome, truly come to the end of our naive faith in The Market. In its own idiom the God’s Politics blog echoes that sentiment. …The people on top of the American economy get rich whether they make good or bad decisions, while workers and consumers are the ones who suffer from all their bad ones. Prudent investment has been replaced with reckless financial gambling in what some have called a “casino economy.” And the benefits accruing to top CEOs and financial managers, especially as compared to the declining wages of average workers, has become one of the greatest moral travesties of our time. In the search for blame, some say greed and some say deregulation. Both are right. The financial collapse of Wall Street is the fiscal consequence of the economic philosophy that now governs America — that markets are always good and government is always bad. But it is also the moral consequence of greed, where private profit prevails over the concept of the common good. The American economy is often rooted in unbridled materialism, a culture that continues to extol greed, a false standard of values that puts short-term profits over societal health, and a distorted calculus that measures human worth by personal income instead of character, integrity, and generosity. But the issue that really troubled all of us watching, and the panel, was euthanasia. I do know that in fact it happens, whatever the legal position, under the guise of palliative care. It is simply a matter of turning up the morphine… And where I have known this to be the case I did not have a problem with it, except that it all has to happen sub rosa. But then the panel rightly worried about what complexities and ambiguities legislation for euthanasia could raise. It was pointed out that when the Northern Territory brought in euthanasia legislation a few years ago, subsequently struck down by the Howard government and currently the subject of renewed attention by The Greens, it was in fact so hedged about that it may have been easier to achieve euthanasia through loopholes in the common law, which is presumably how it happens now. It was also pointed out that abortion is not, as such, legal in Australia, but can and does happen through similar common law flexibility. Exactly how that works I will leave to the likes of Marcellous and Legal Eagle. Fortunately, as I have noted before, our parliaments resort to conscience rather than party voting on issues of such complexity. Photography and I go back just on forty years now, though for the last twenty I have done very little. 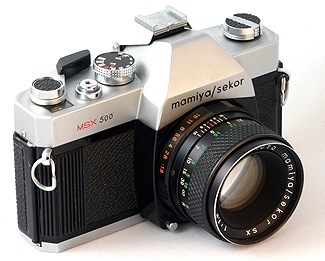 That was when my beloved Mamiya MSX-500, along with three additional lenses, was stolen from Ross Street, Forest Lodge, where I was living at the time. From around 1973 I became really interested in the whole photography thing, getting into printing and developing through Simon H and a number of his friends when I was teaching in Wollongong. At Wollongong High I went on in the mid 1970s to add Photography to my teaching subjects, and even ran a basic class for Dip Ed students at Sydney University in 1977-1978. My more formal training came through a short course I did with leading Australian photographers John Williams and Ingeborg Tyssen in 1975, an experience I mention here. Photographs, John Williams told us, happen in the mind. The camera is merely an instrument. He had little time for camera buffs as such. It is fair to say that during the past twenty years or so my mind has been constantly taking photographs, but without the instrument there has been little to show for it. Now, thanks to Sirdan, I am geared up again, but in a new mode which I am still getting used to. I am also getting used to colour rather than black and white, as black and white photography was what I was — and still am in a way — more interested in. So yesterday I was down in Chinatown again, the Casio in my pocket. I wanted to realise some of those pictures that have been in my head all this time, but I am afraid I am still learning the rather different techniques needed with the new instrument. And that is what the Casio actually gave me. For more, go to Ninglun’s Specials.